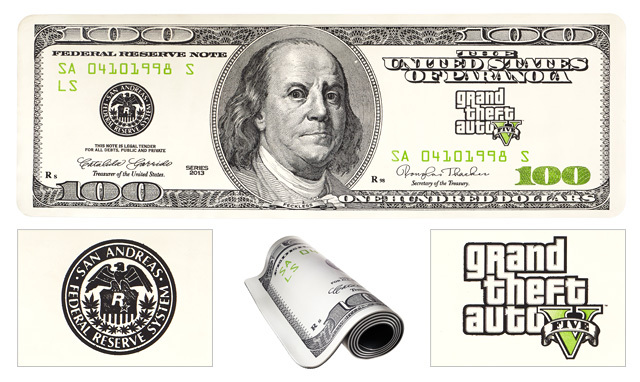 Celebrate the almighty dollar whilst pursuing total consciousness on the GTAV C-Note Yoga Mat - a comfortable workout mat that measures in at just over 6 inches long (1.83 m), 2 inches wide (0.6 m) and 0.25 inches thick (6 mm). This dense, non-slip mat is Fabien LaRouche approved and perfect for yoga practitioners of all skill levels, from novices just learning the Downward Dog to those mastering an advanced pose like the Lucky Triangle. Whether you're coordinating an elaborate caper or sneaking into the kitchen at 2 AM for some questionable reheated Up-n-Atom, precise timing is everything. To that end, here's a heavy duty timer fashioned after a bank safe's combination dial. 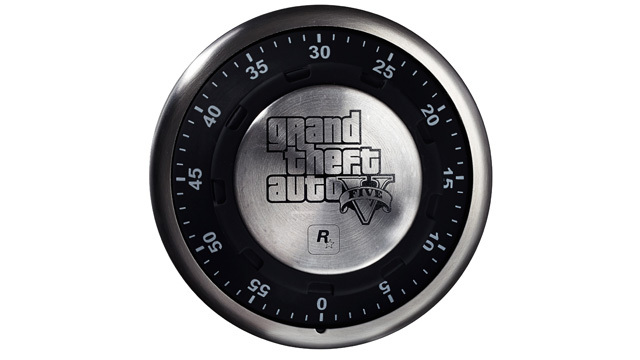 Features a powerful magnet on its back along with the Grand Theft Auto V and Rockstar logos on the front. 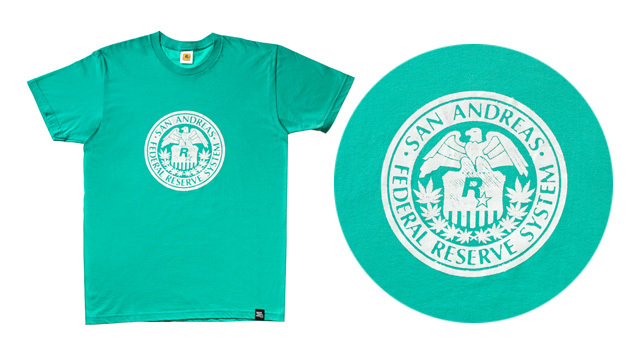 Turn other would-be criminals green with envy by rocking this mint San Andreas Federal Reserve t-shirt. This soft 100% cotton tee features the official "San Andreas Federal Reserve System" seal on its front, the GTAV logo label at the bottom hem, and a small Rockstar logo just below the neck line on the back. 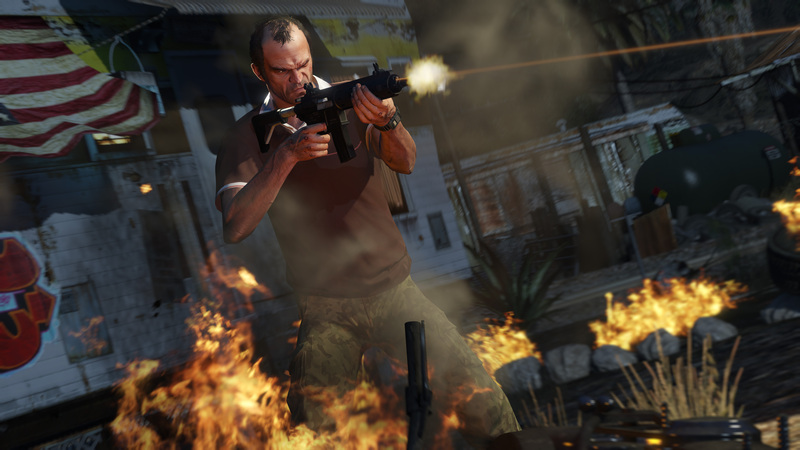 And More GTA V Gear at Rockstar Warehouse - More money-themed items make their way into the Rockstar Warehouse. Grab a yoga mat, timer, or new t-shirt!